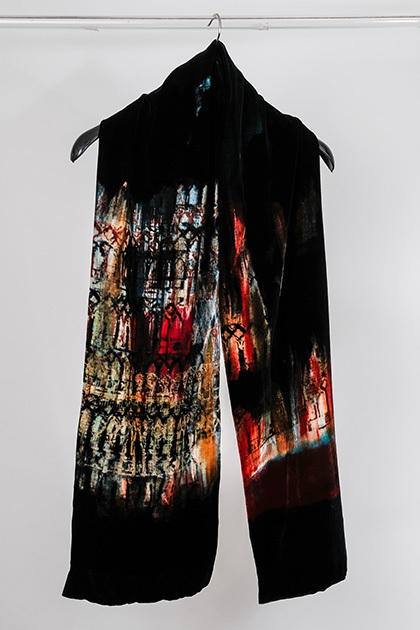 Painted velvet for the Autumn in the enormous footsteps of Fortuny – this is silk viscose velvet double sided scarf, painted with deep blacks and rust and gold, with gold pigment overprint of the Ca’ D’Oro palace in Venice. Dry clean or hand wash and spin and tumble dry to fluff up the pile of the velvet. SKU: CW3.41. 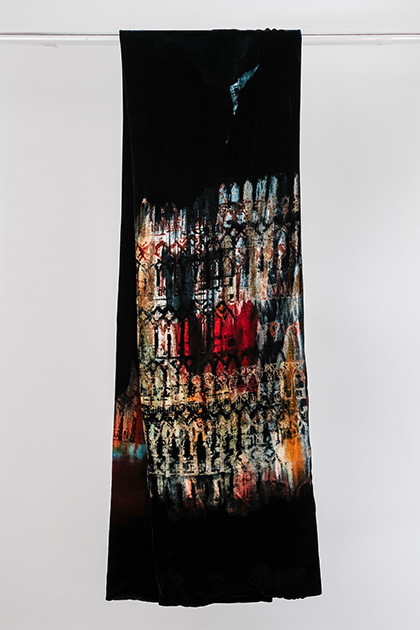 More: Accessories, Silk Scarves, Velvet.